Outside pressures are demanding more time and attention from physicians—and the trend is toward increasing complexity. 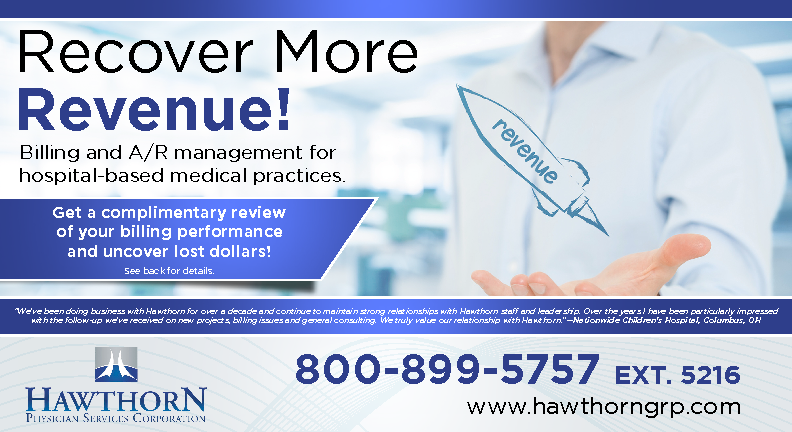 At Hawthorn we are physician advocates, and we have the knowledge and experience to address complexity with certainty. We demonstrate our advocacy by maintaining the highest standards of ethical conduct and compliance—and we extend professional conduct and compliance services to our physician clients. Conduct. Fulfilling and communicating the highest levels of RCM integrity, security and confidentiality expected in the medical profession. Compliance. 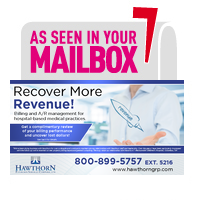 Assuring practice billing and collection processes follow guidelines required by all applicable oversight agencies. Credentials. Assisting practice physicians with the credentials they need to meet criteria required by hospitals and insurance companies. Communication. Sharing information and insights about business performance metrics and strategies for continuous improvement. Consulting. Delivering professional feedback about business decisions and issues that can affect the financial performance of the practice. Continuity. Retaining a professional record of financial performance and sustaining best business practices year after year. We will work in behalf of the physicians in your practice to make sure they receive the same level of professional care they are so accustomed to sharing with others.